Texas also known as the "Lone Star State" is great place to enjoy your next vacation. The state of Texas offers tourists a large selection of amazing rental villas, condo rentals and vacation homes direct by owner at great values. Texas is the second largest state in the country next to Alaska and provides a wide array of unique places to visit. The state is broken up into Seven Regions, which include: Panhandle Plains, Prairies and Lakes, Pineywoods, Gulf Coast, South Texas Plains, Big Bend Country, along with Hill Country. Each of these regions have their own unique features and attract millions of tourists or guests each year during the spring, summer, fall and winter. Throughout the duration of your Vacation in Texas, you will not have a dull moment. There is so much to do when your not relaxing in your vacation rental. Most the regions offer great sightseeing, outdoor activities, shopping and don�t forget about the world class food & dining. Texas is home to some of the best lakes in the country. These lakes provides the opportunity to enjoy boating, fishing, water skiing and other great water activities. The fishing is absolutely amazing for largemouth bass, catfish and other fresh water fishing. Some of the largest bass caught in the United States has come from the state of Texas. If you enjoy the beach and ocean, the Gulf Coast Region is the place to be, which features Galveston, Corpus Christi, Crystal Beach, Surfside and even Padre Island. A Gulf Coast Vacation Rental will provide you with a vacation of a lifetime. You can enjoy the amazing beaches, swimming, scuba diving & snorkeling, parasailing, salt water fishing and much more. Many of the vacation rentals by owner provides access to private pools for you to relax in as well. You can find great places to enjoy a day of shopping while on your Texas Vacation. There are a variety of malls, specialty stores, boutiques and flea markets. If you have a vacation rental near Canton, TX, you may be able to catch the Canton First Monday Trade Days, which takes place beginning on the Friday before the first Monday of the Month. If you have the opportunity to go to this Flea Market, you wont regret it. It is located on a 100 acres features 6,000 spaces for vendors to set-up booths. The food and dining are spectacular in Texas. There is a wide variety of restaurants to choose from, however the most popular among tourists is the Tex-Mex, which includes Chalupas, Fajitas and Chile Con Carne. So, make sure you enjoy at one Tex-Mex Dinner. Have you ever heard of a Chuck Wagon Dinner? Your answer is probably no. The Chuck Wagon Dinner is another popular choice for guests of Texas. You will find great barbeque, potato salad, macaroni and other great dishes. Seafood Restaurants are a popular choice in the Gulf Coast Region. The majority of the state borders Mexico. Many tourists want to visit certain parts of Mexico, while staying in their Texas Vacation Rental by Owner. You can make day trips and go across the border to enjoy a day in Mexico. As you can see Texas is a great vacation destination offering a wide array of activities to enjoy. 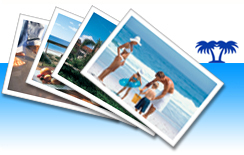 You can find a great selection of vacation rentals by owner at ivacationonline.com at great values. The ivacationonline.com onlinevacation rental softwarethat is offered allows you to book your next dream vacation in a matter of minutes.